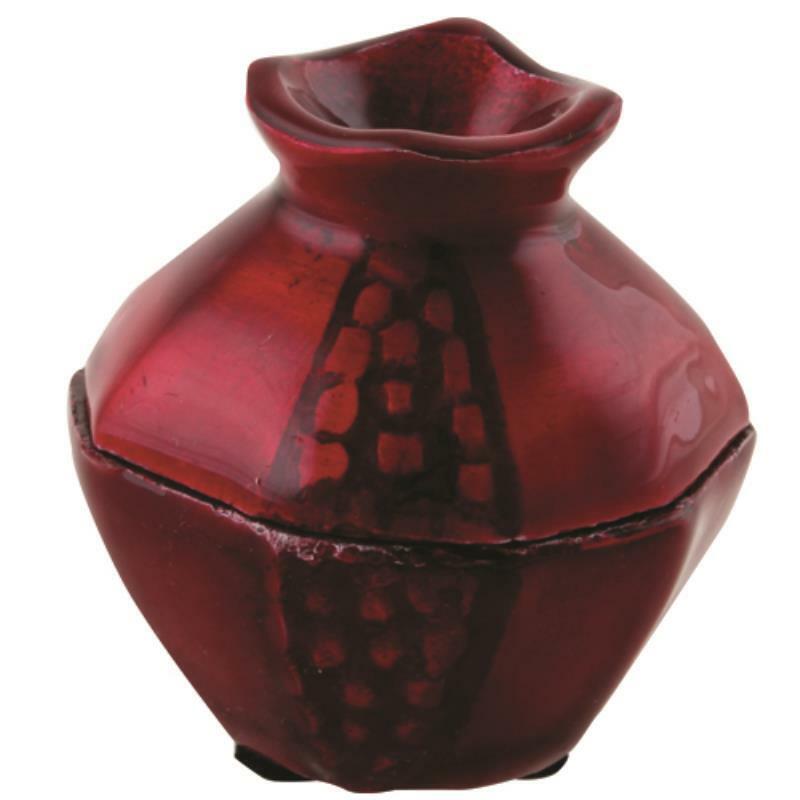 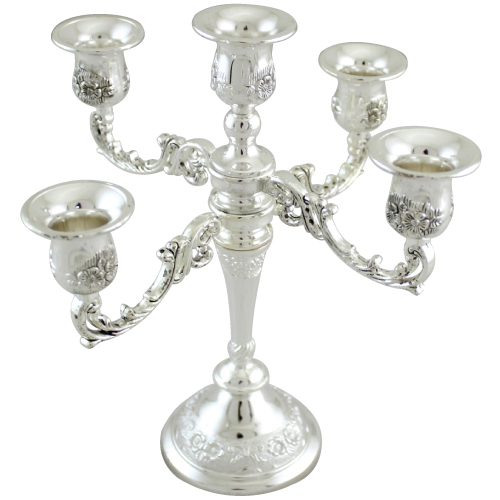 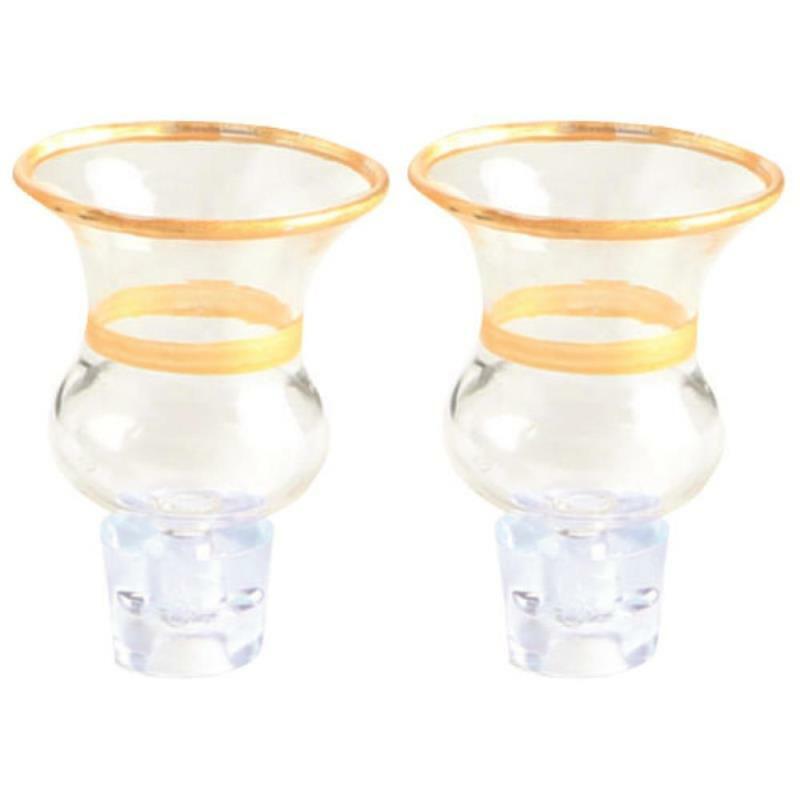 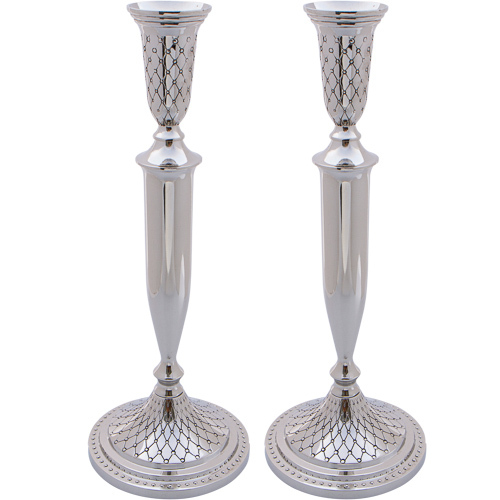 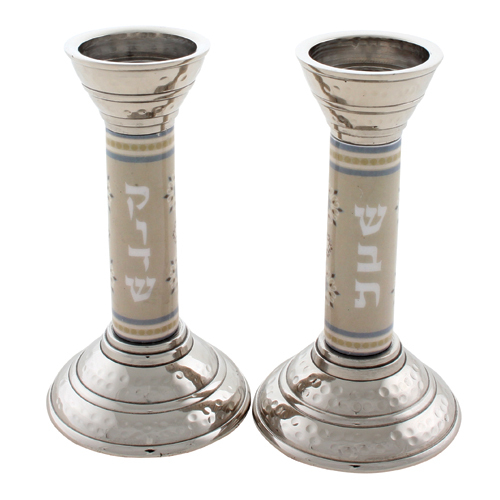 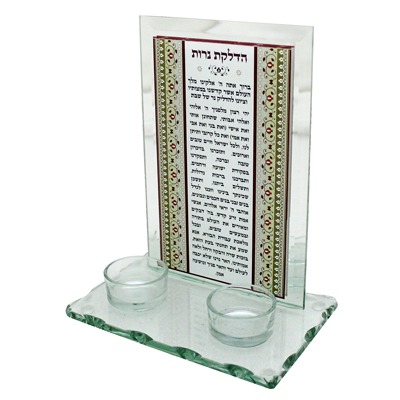 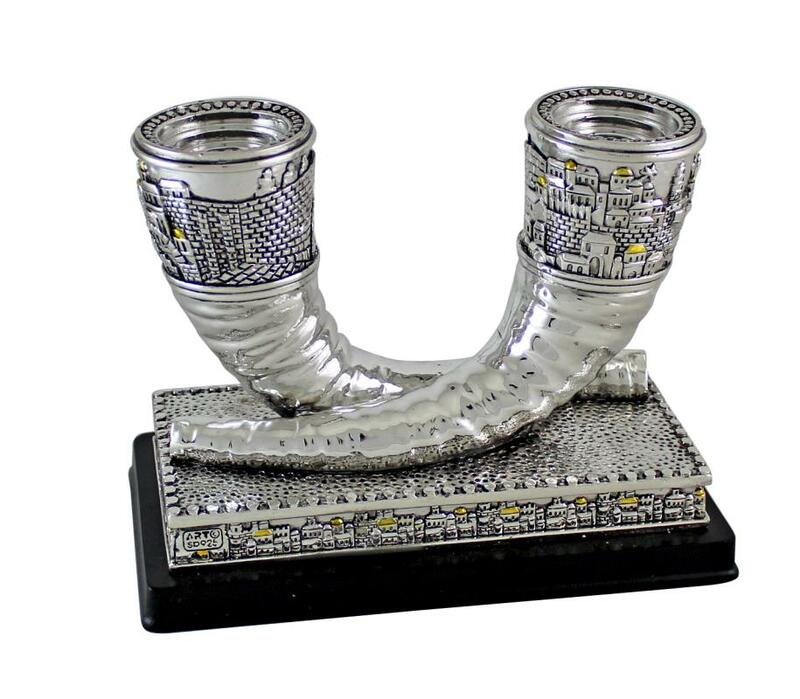 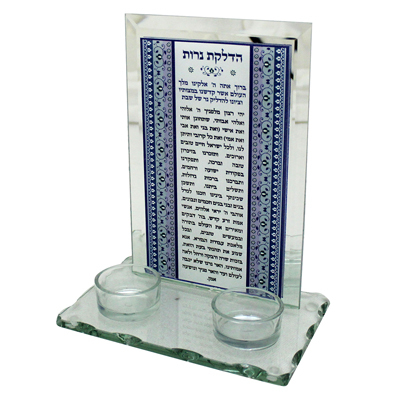 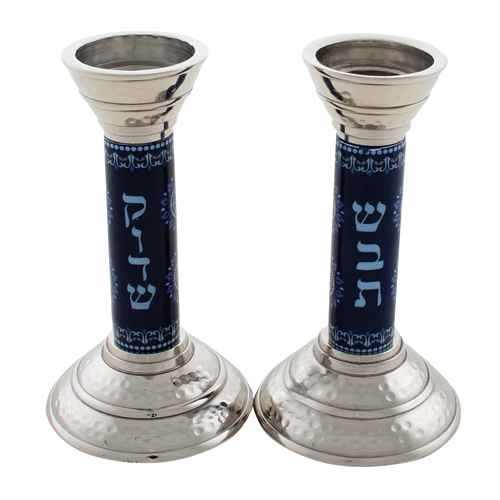 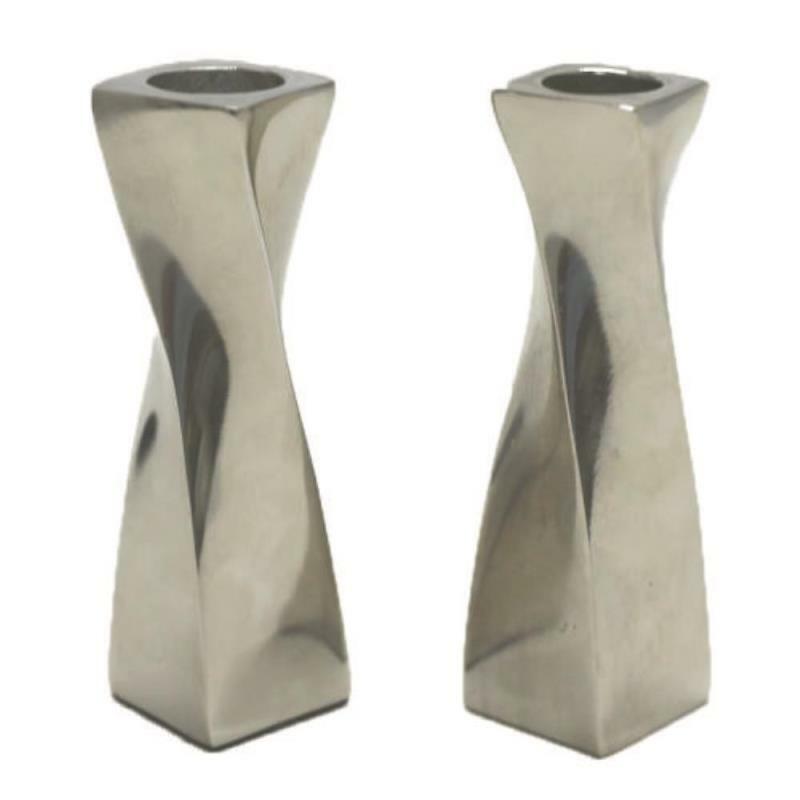 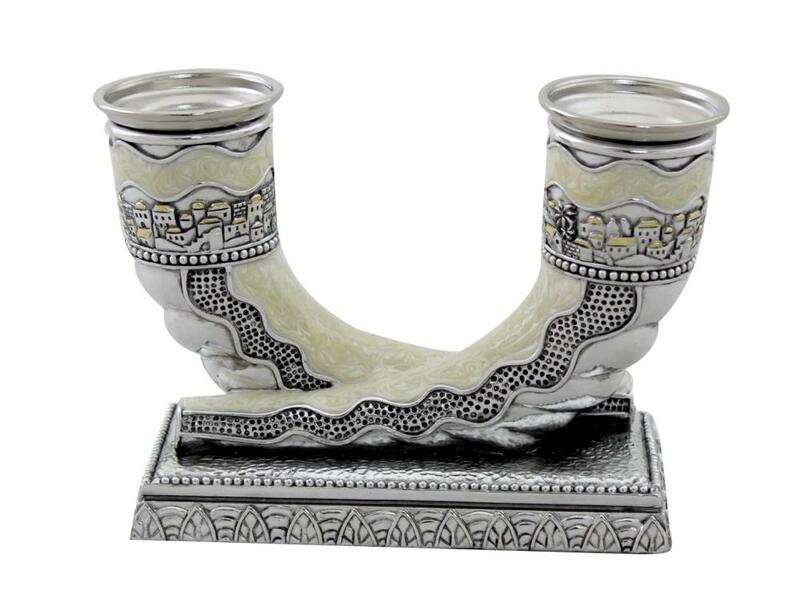 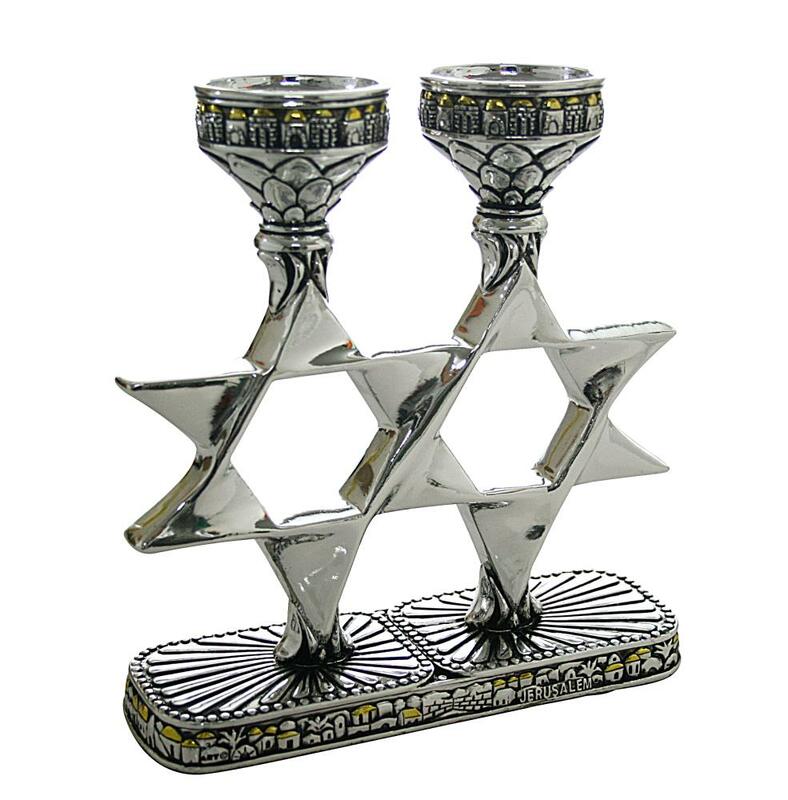 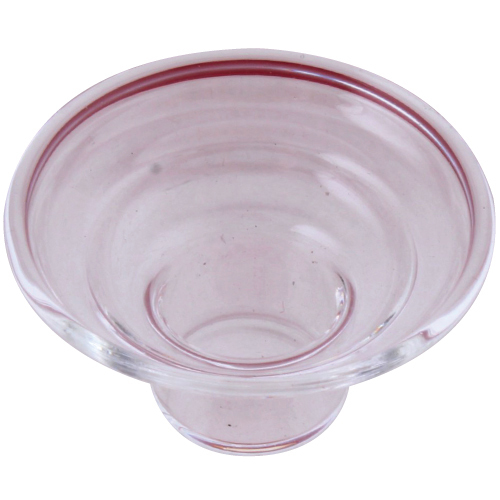 Candlesticks - All items presented in this site were handcrafted by Israeli artists and proffesional craftsmen.It is our mission to distribute the joy and importance of Judaica artifacts worldwide. 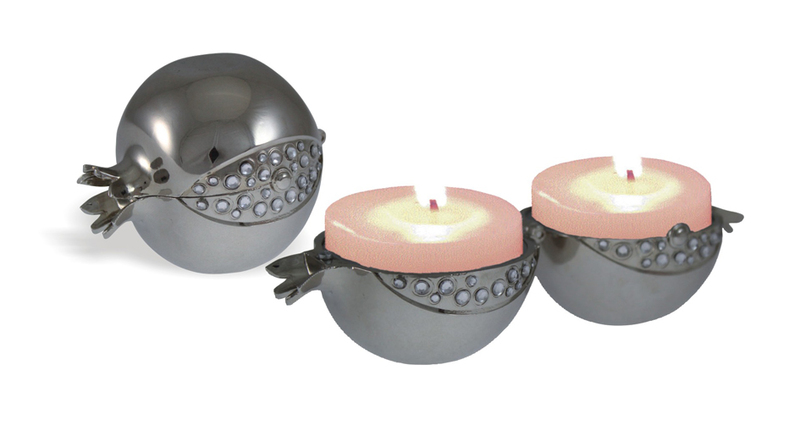 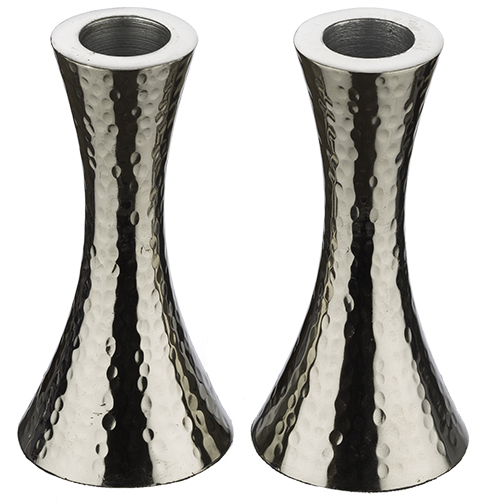 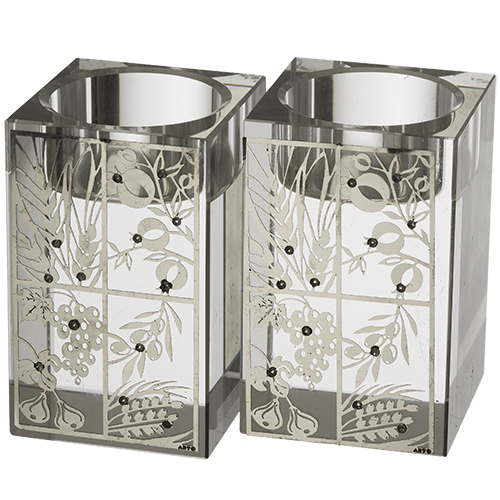 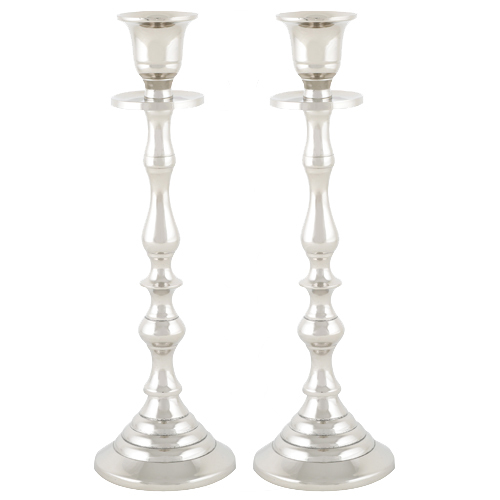 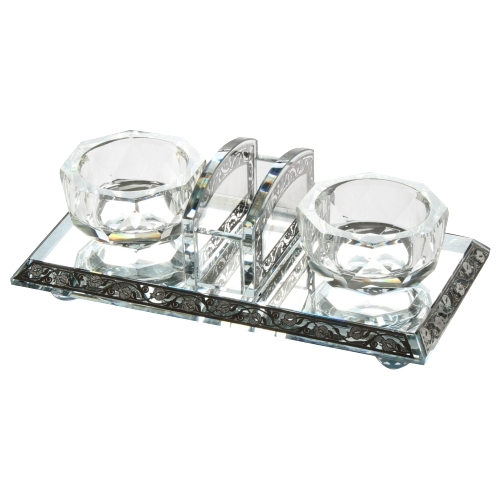 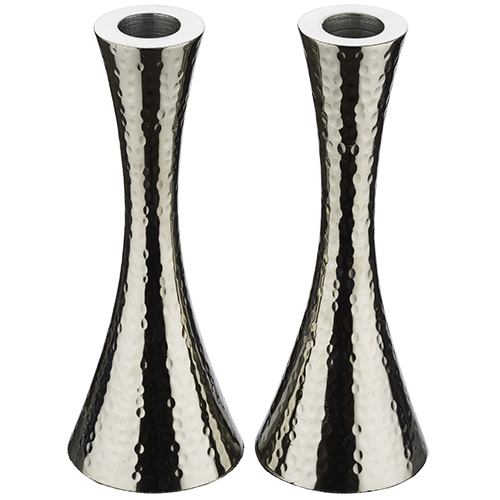 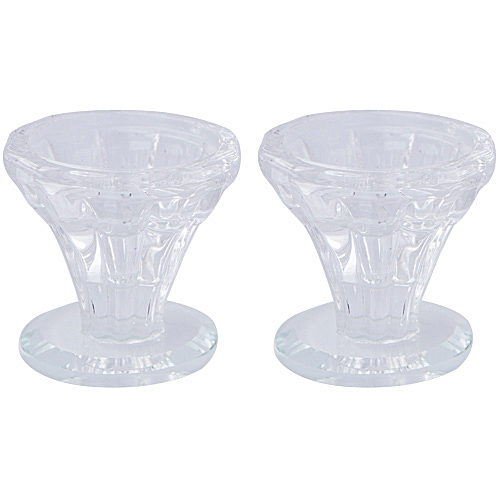 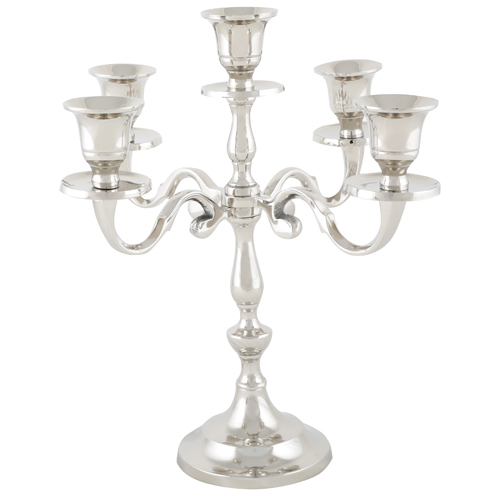 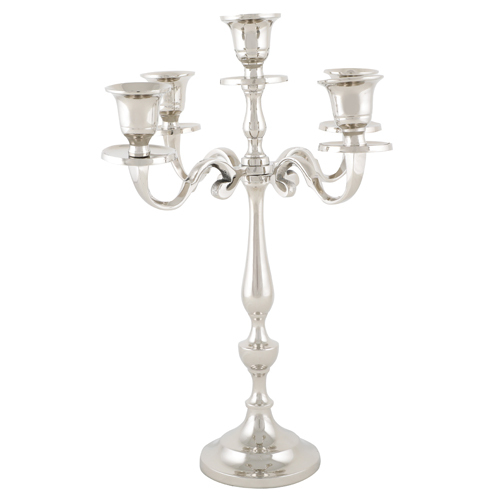 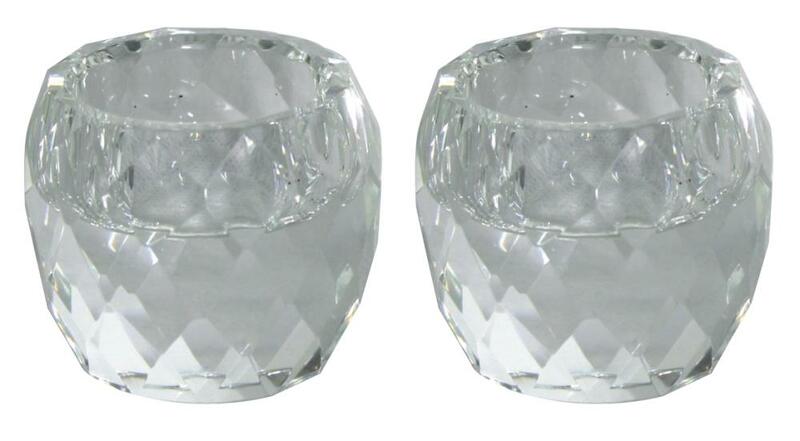 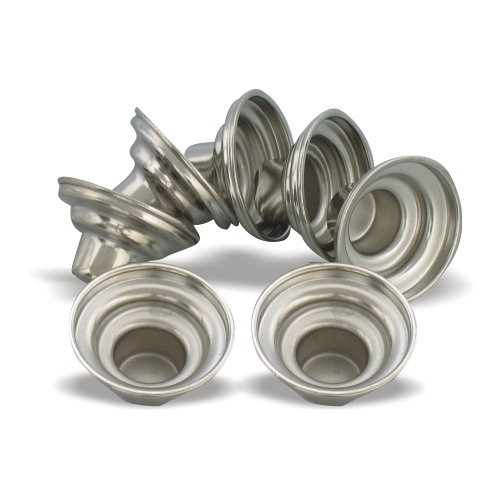 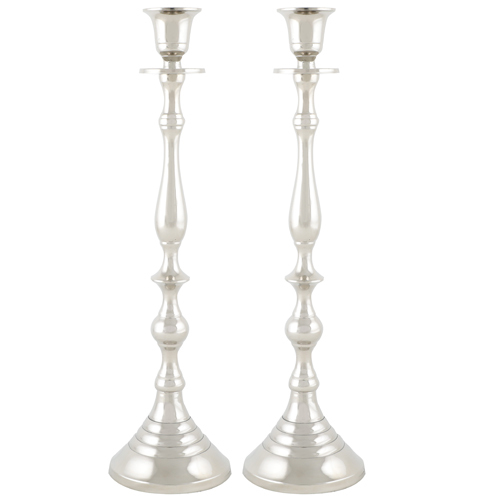 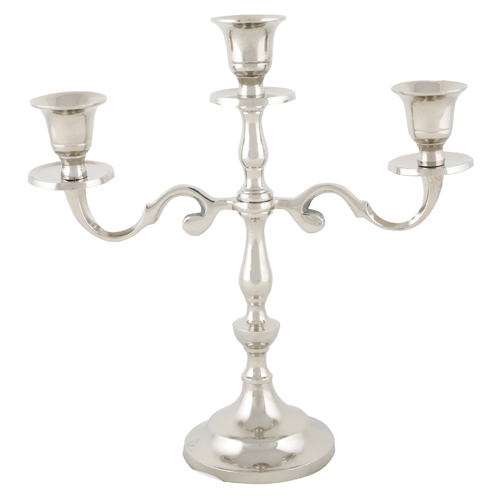 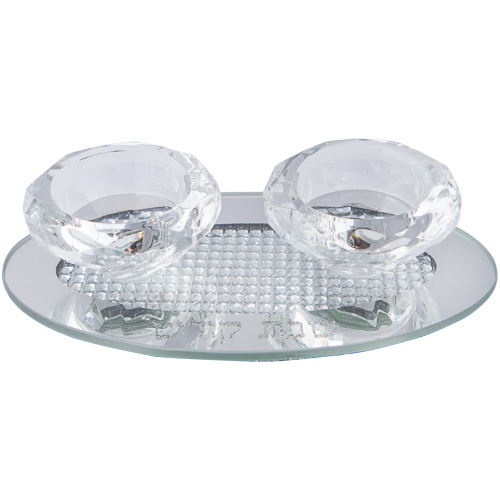 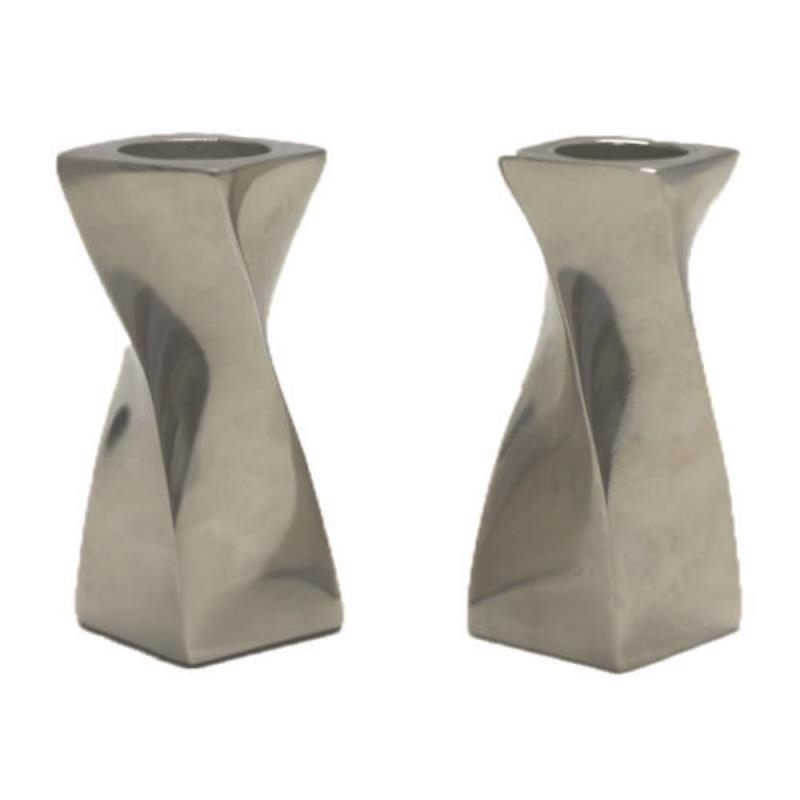 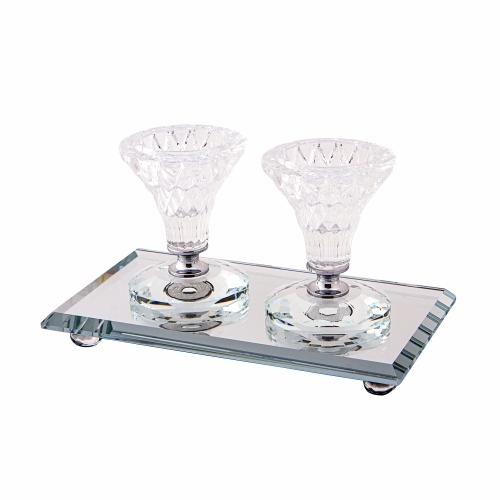 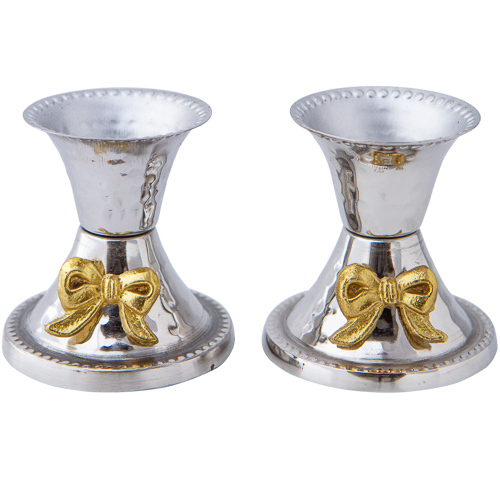 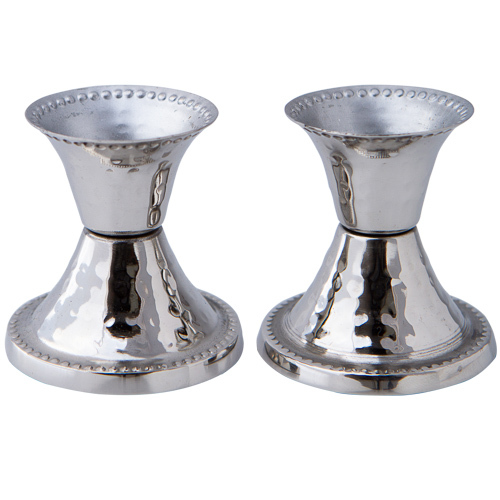 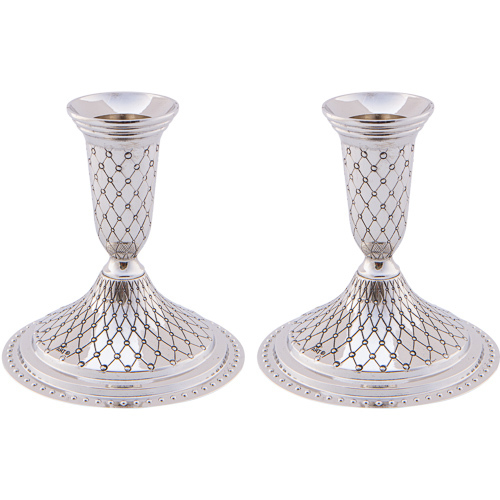 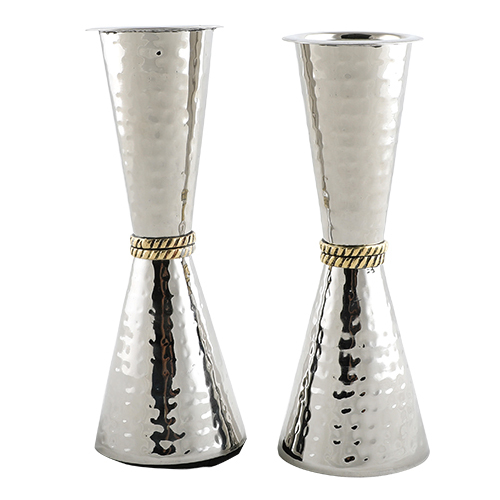 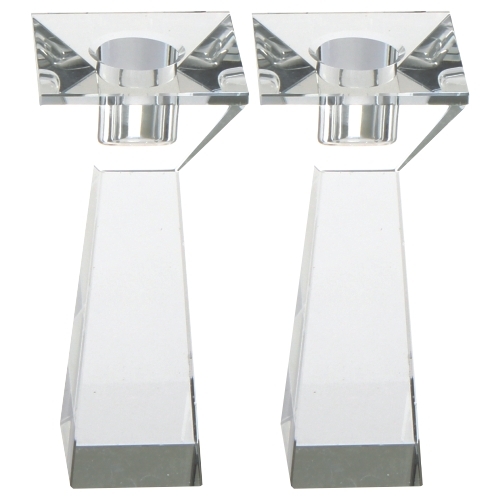 UK54076 - Nickel Oil/Candle Holder. 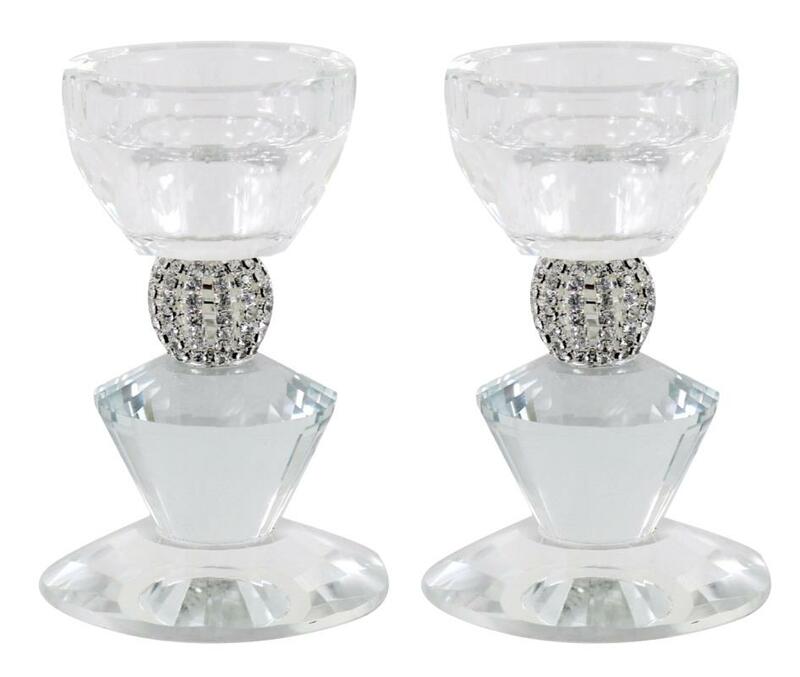 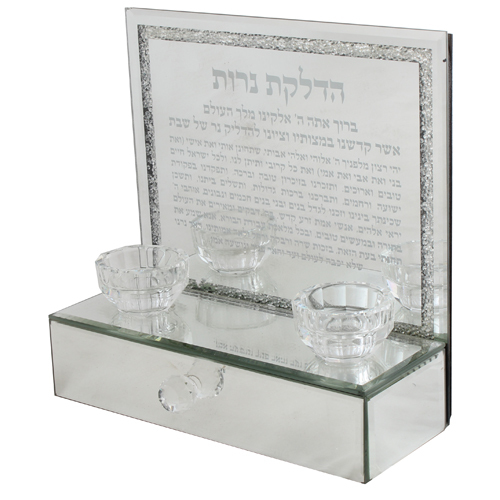 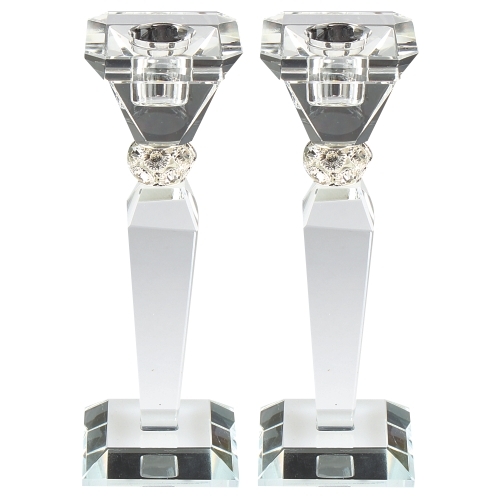 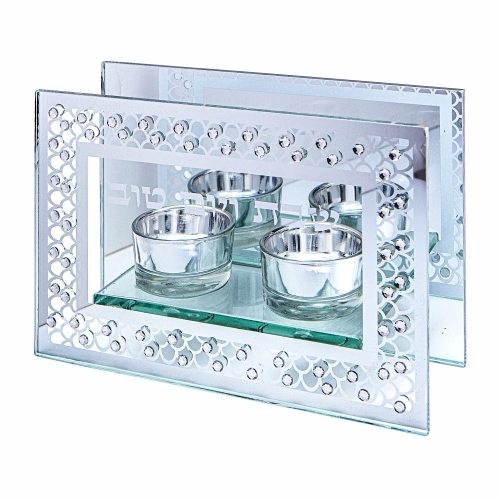 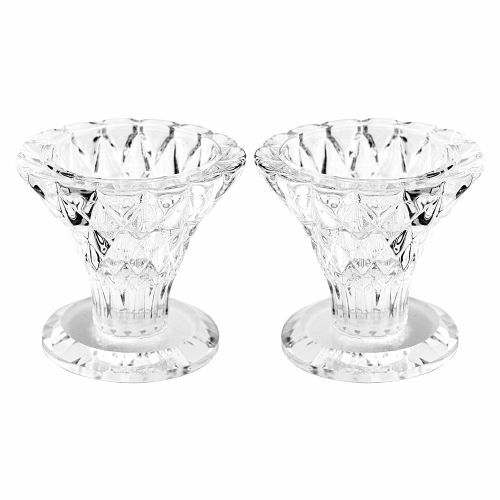 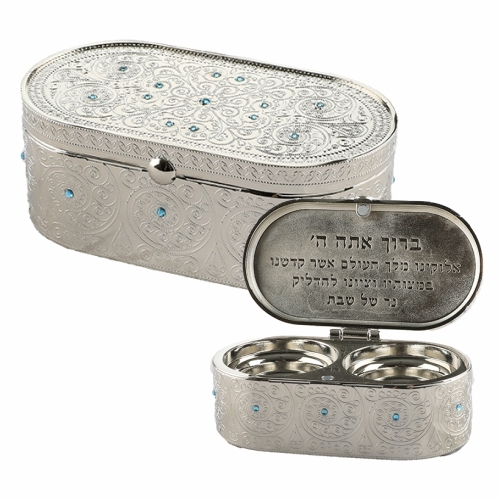 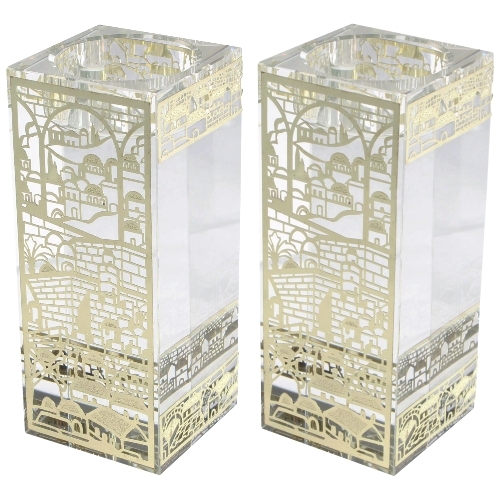 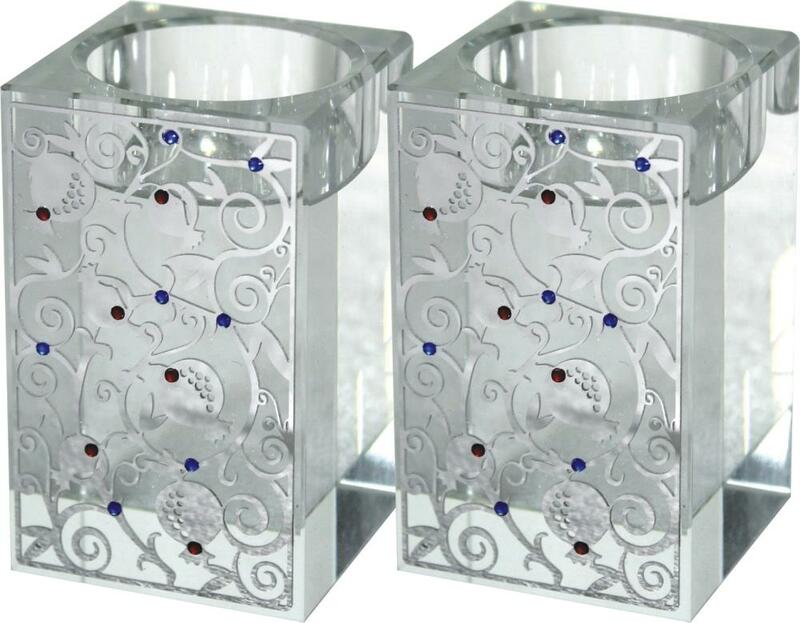 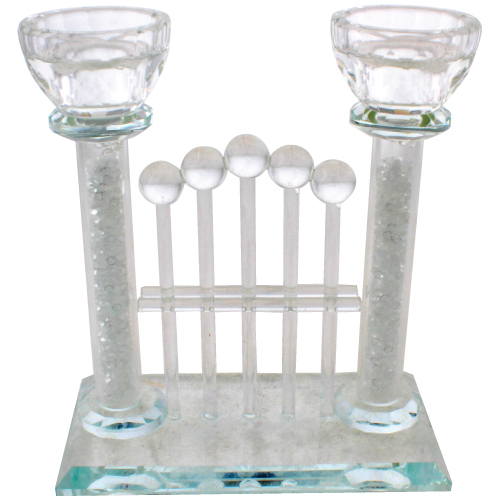 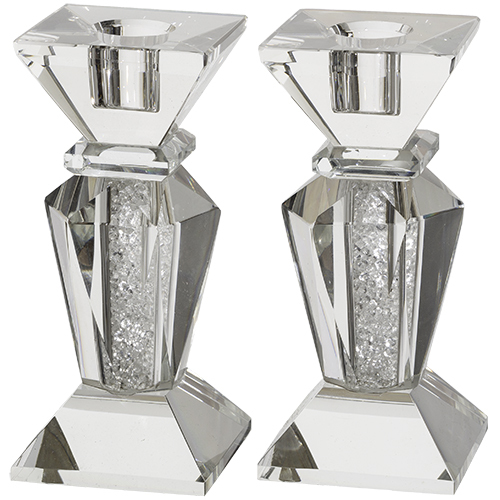 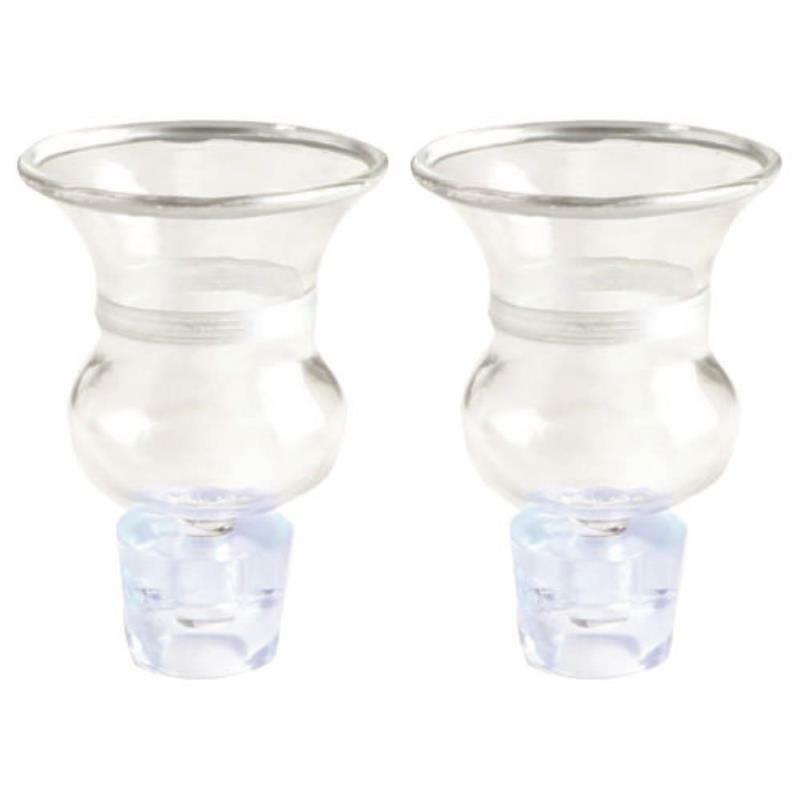 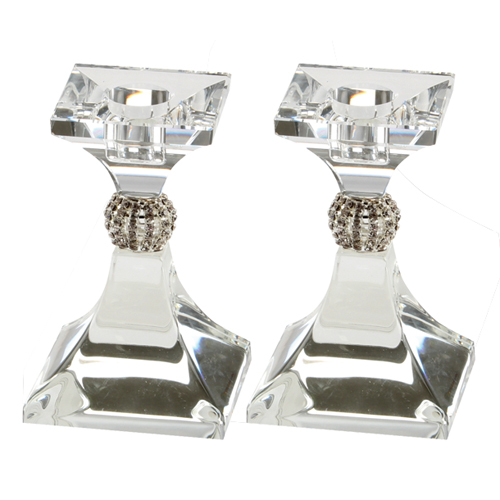 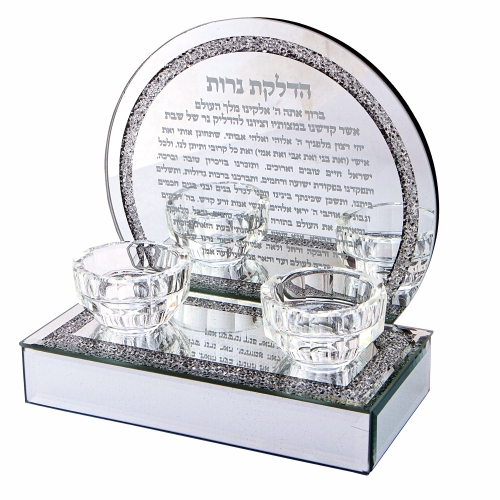 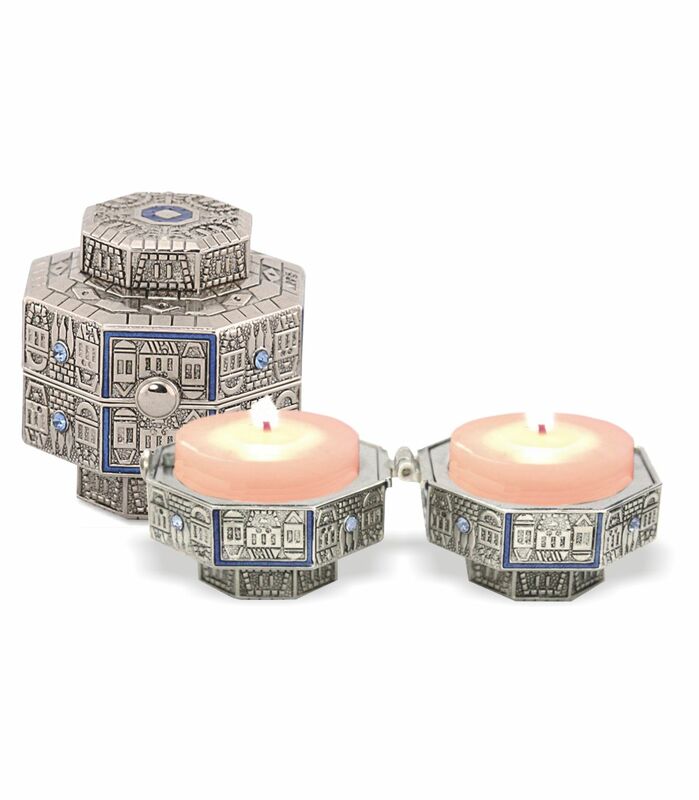 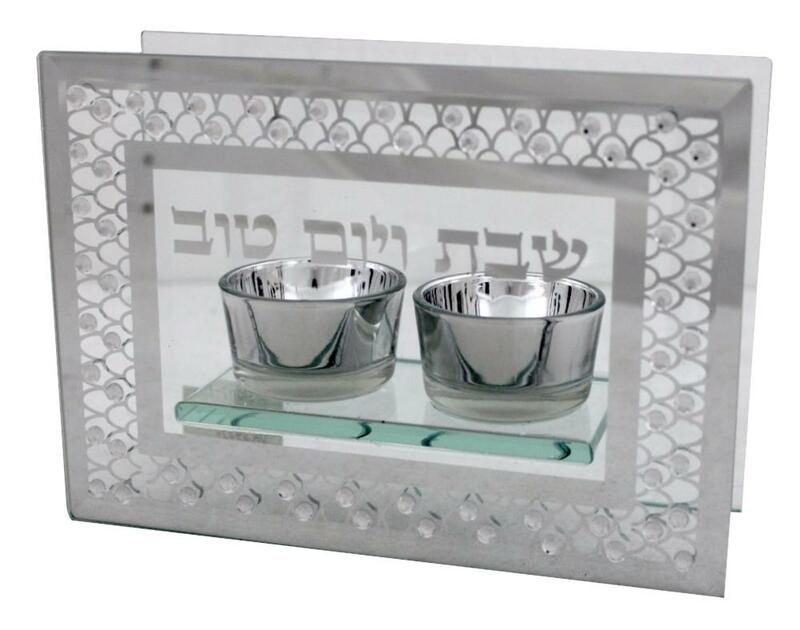 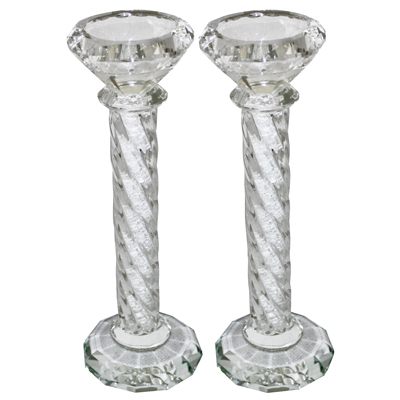 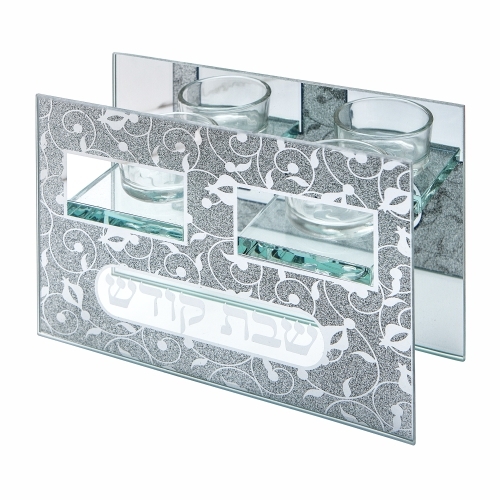 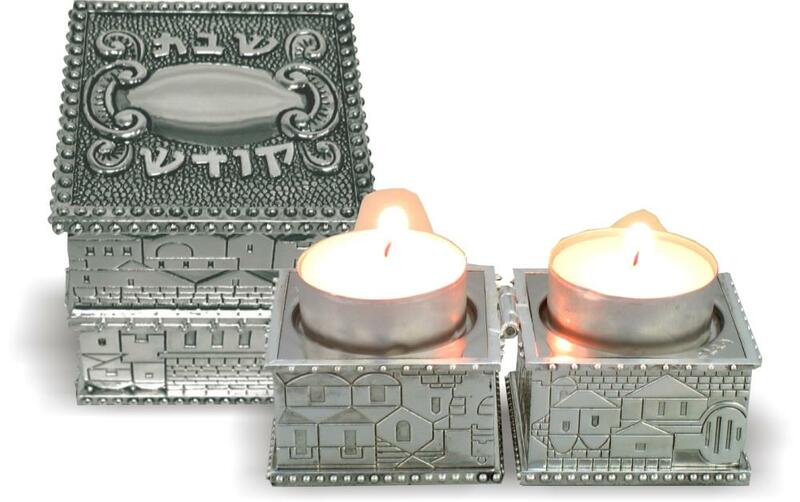 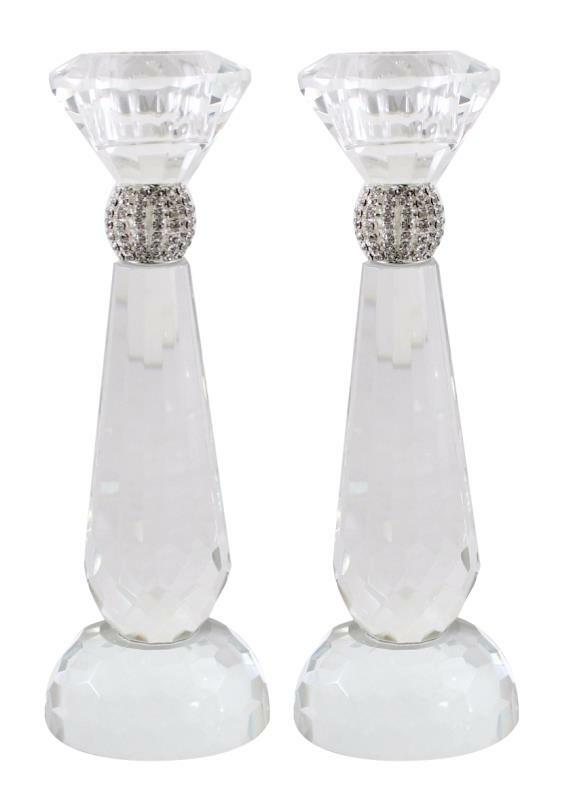 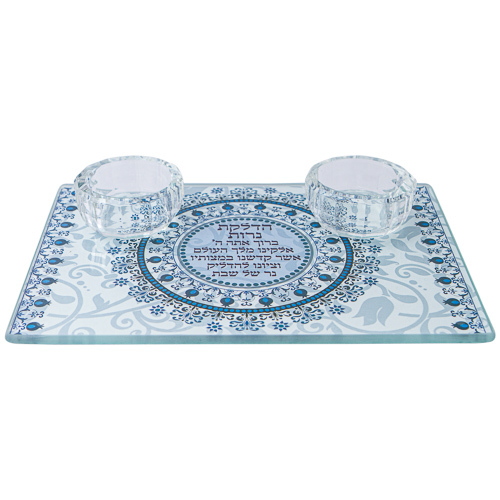 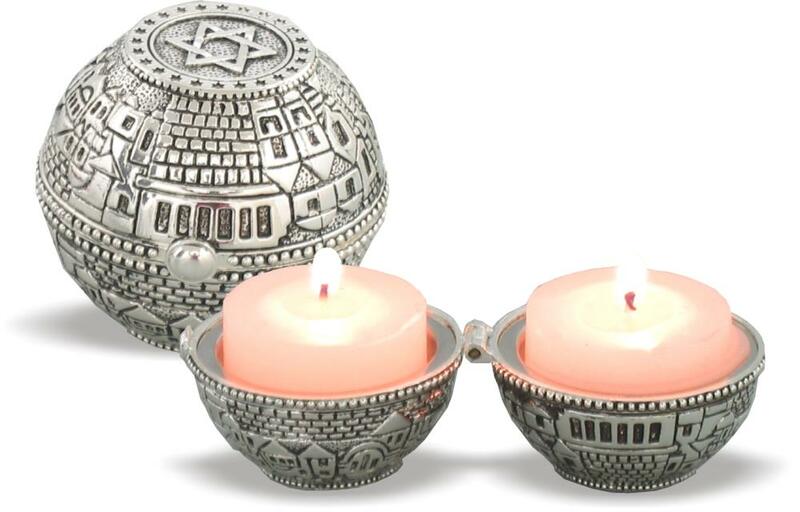 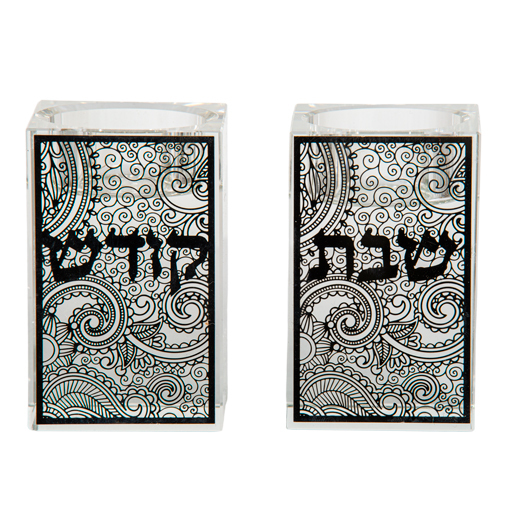 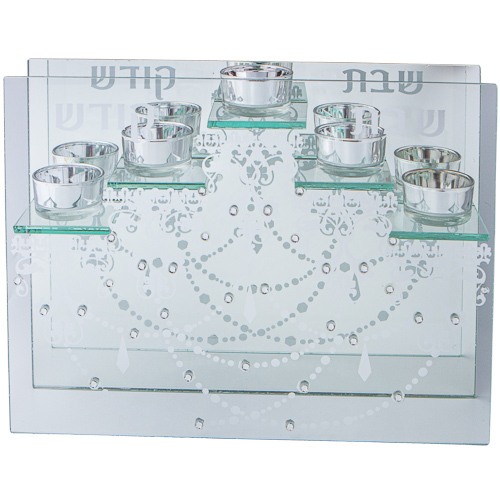 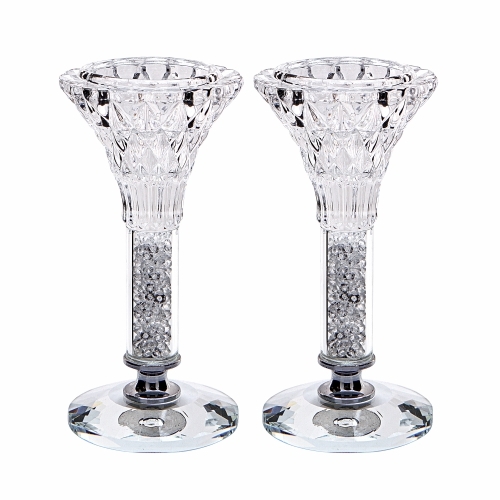 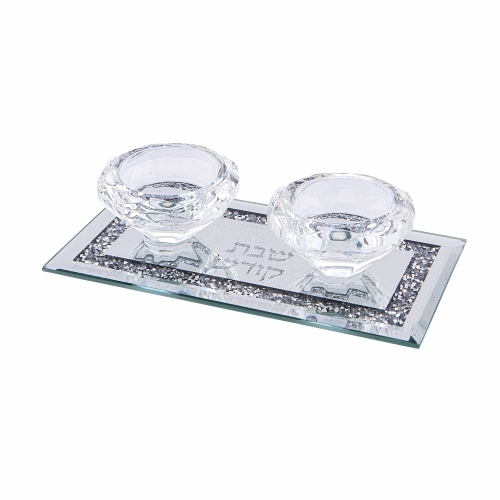 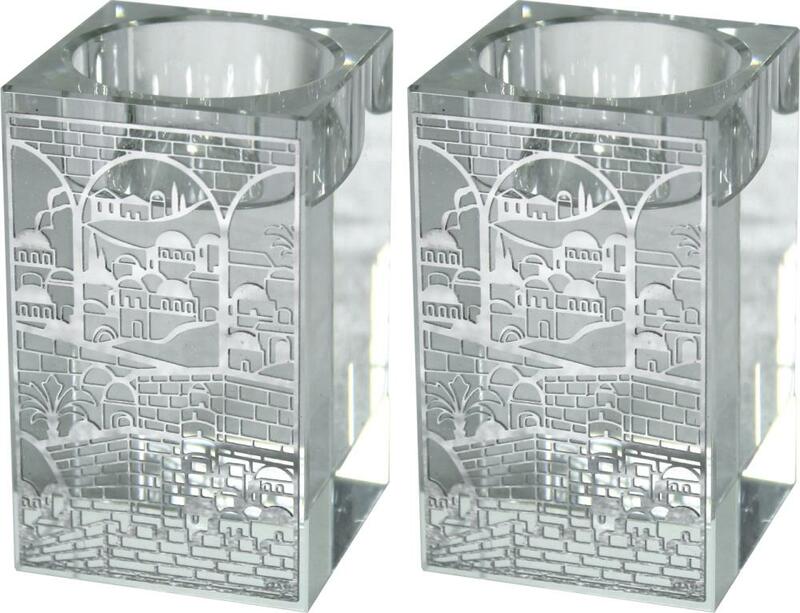 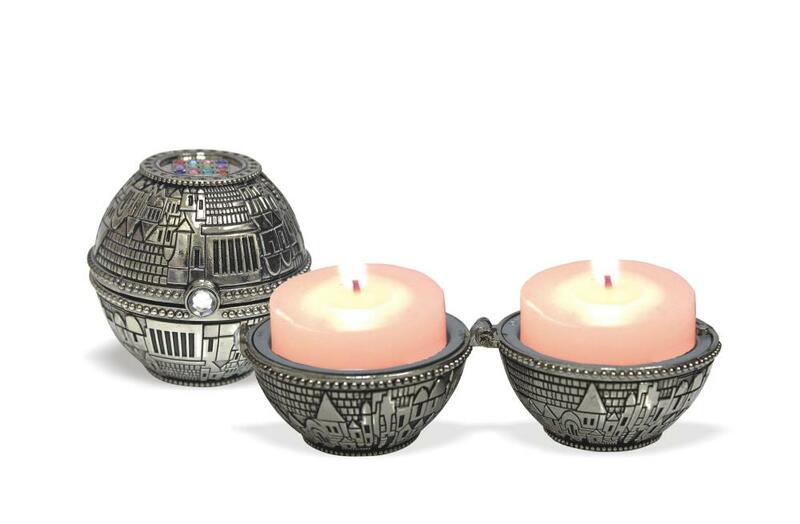 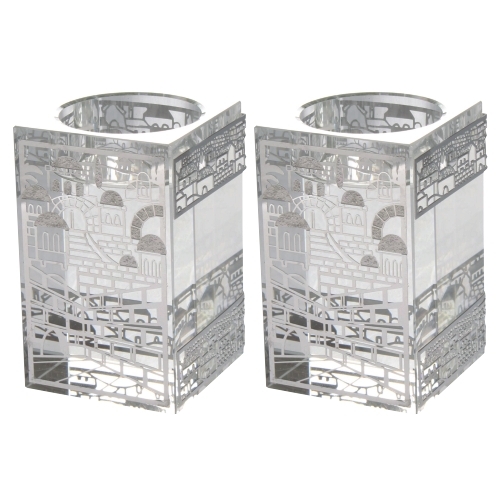 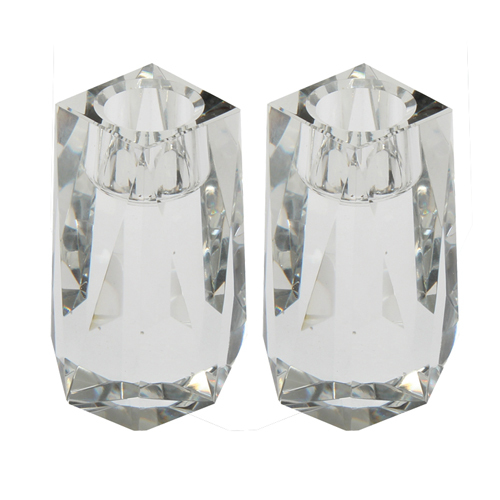 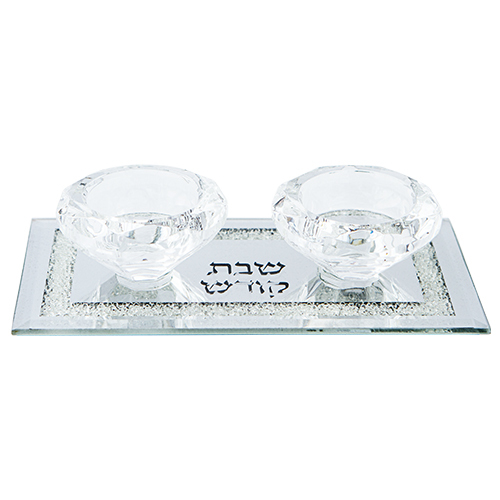 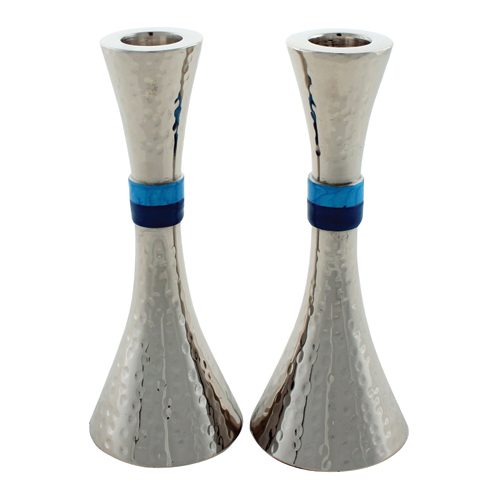 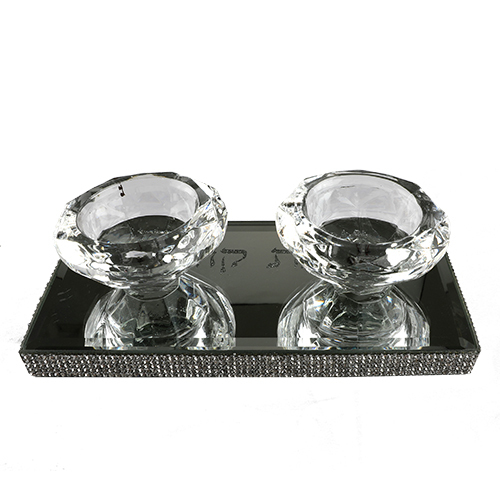 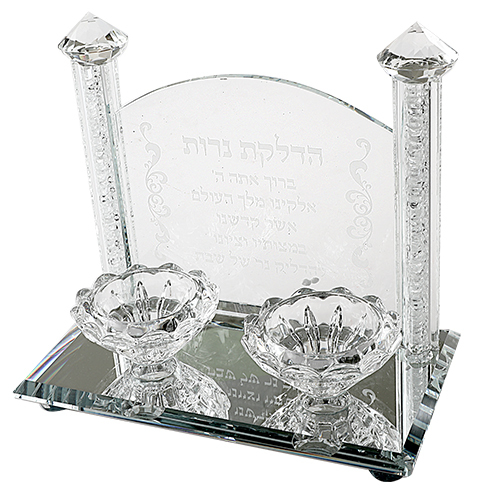 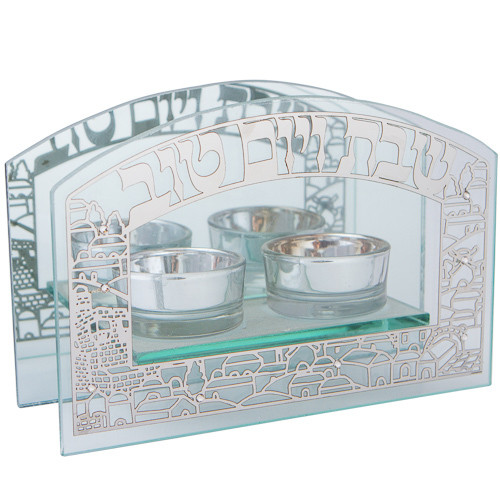 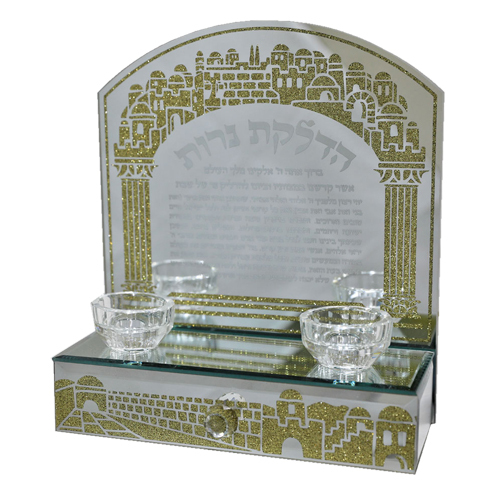 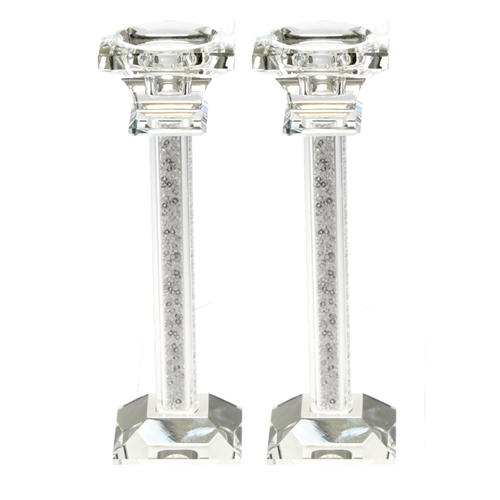 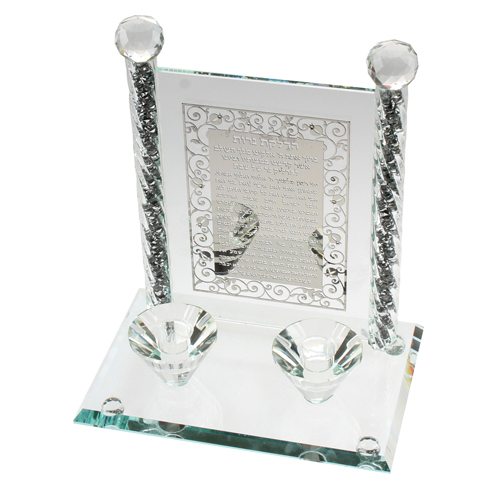 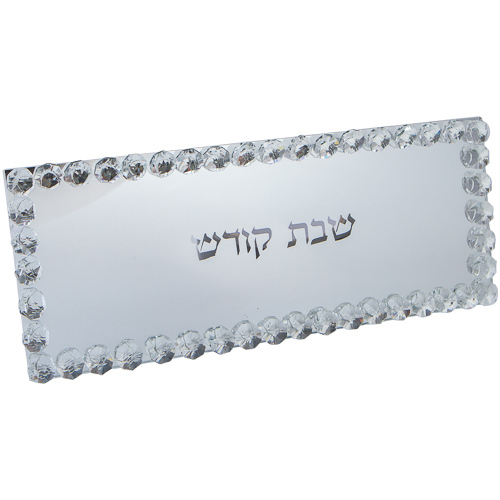 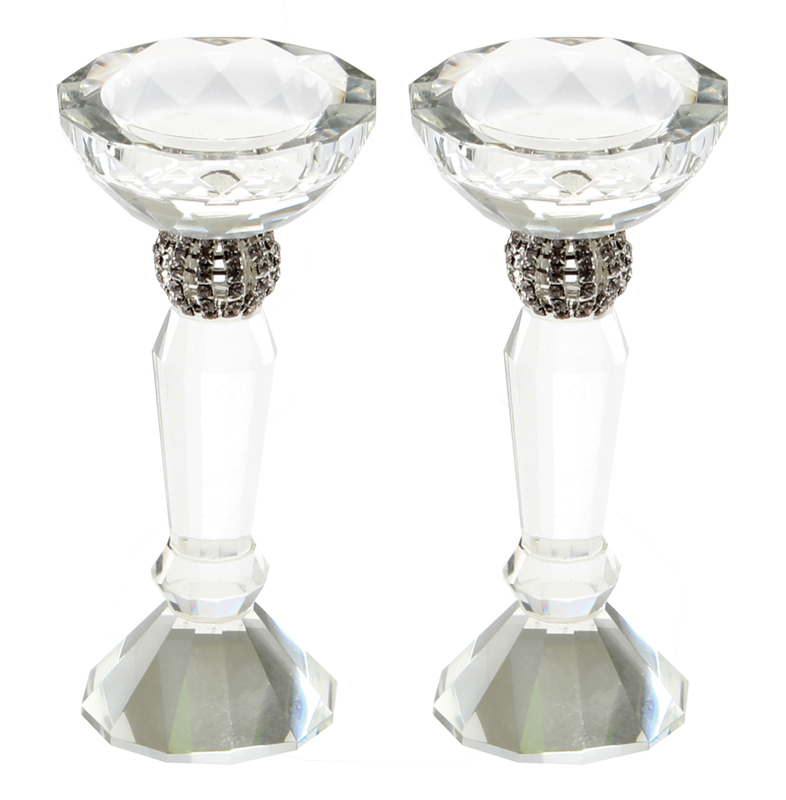 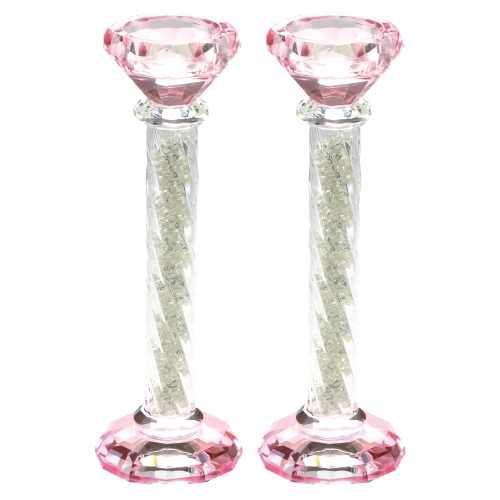 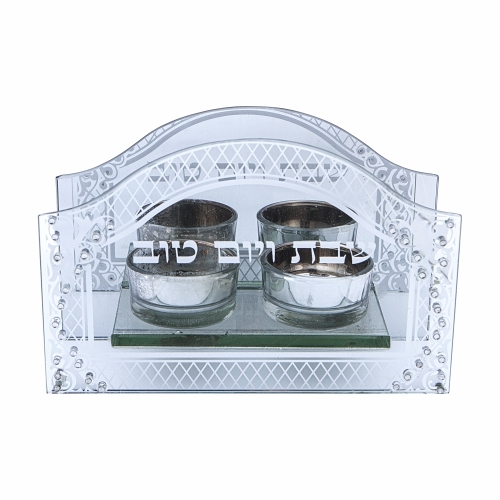 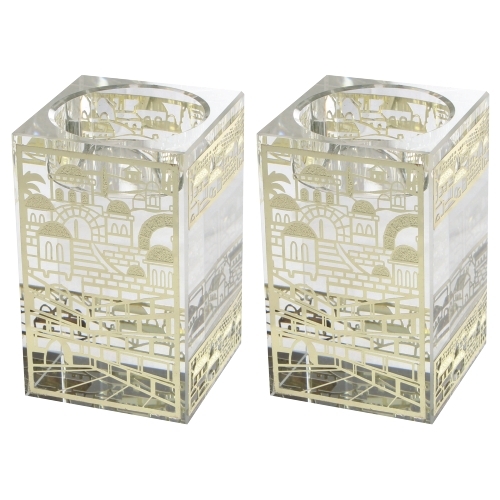 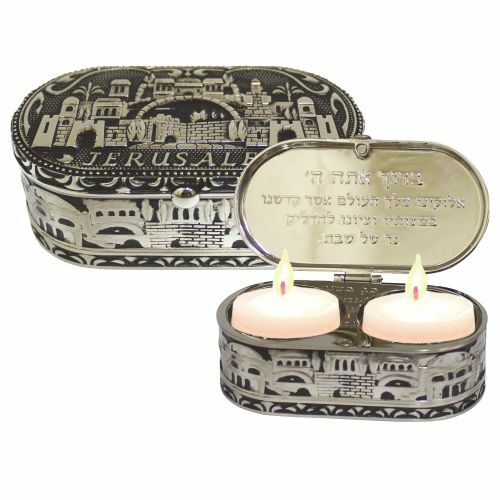 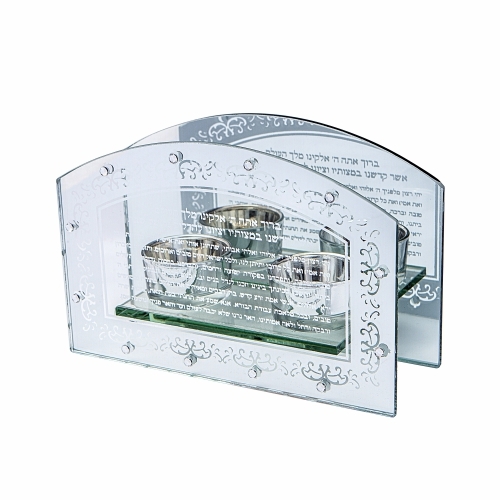 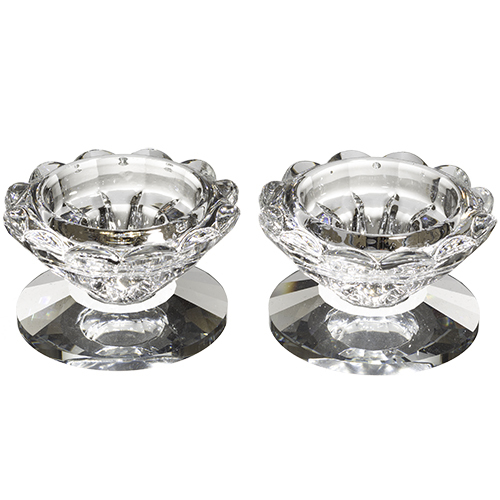 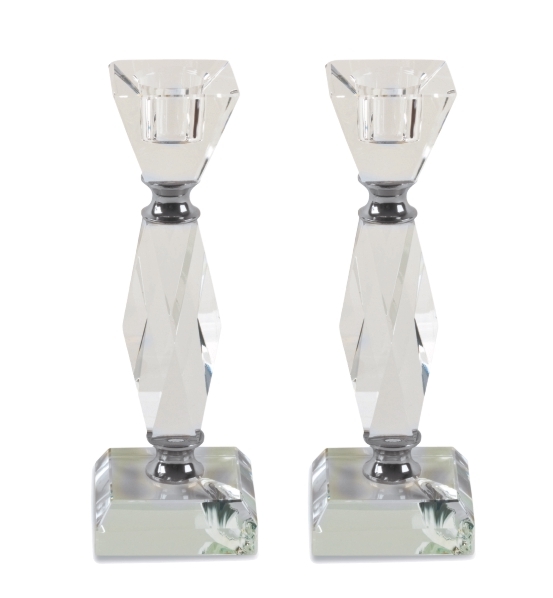 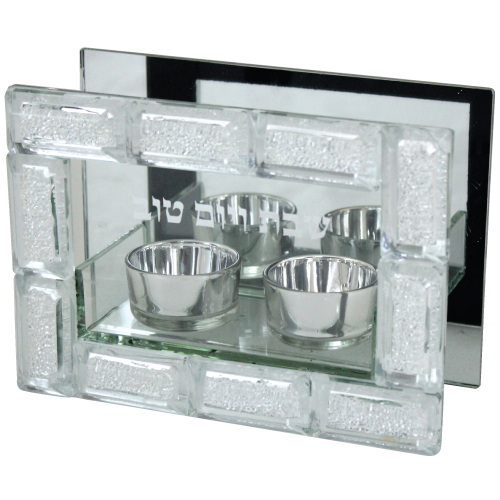 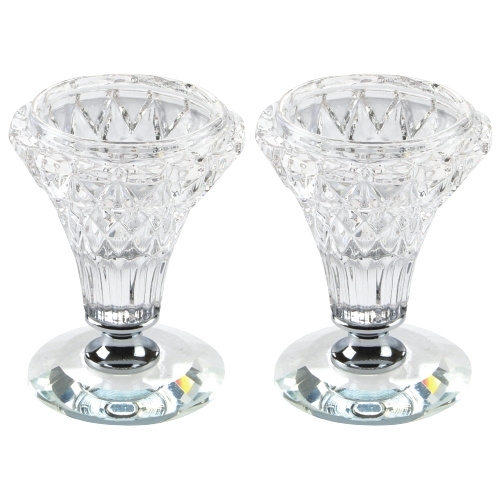 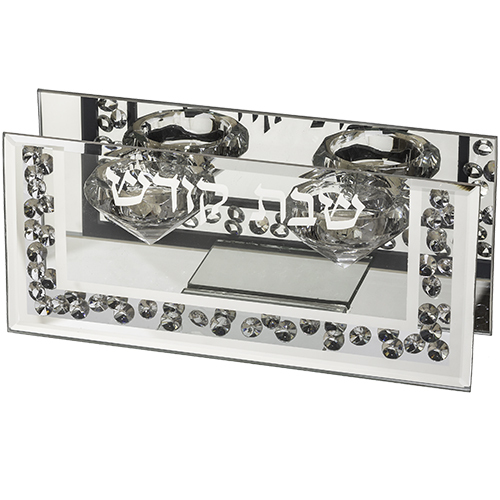 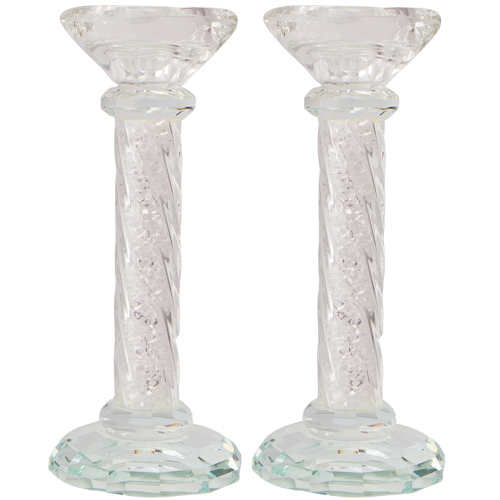 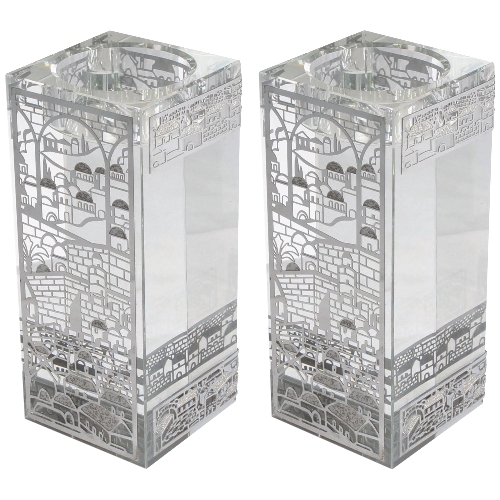 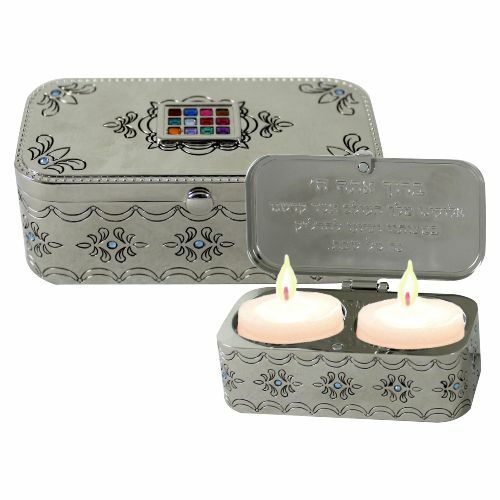 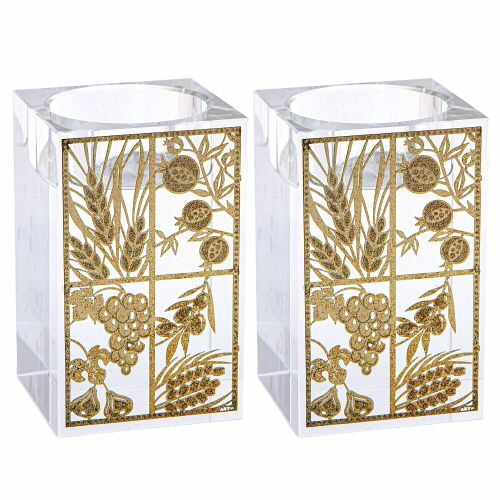 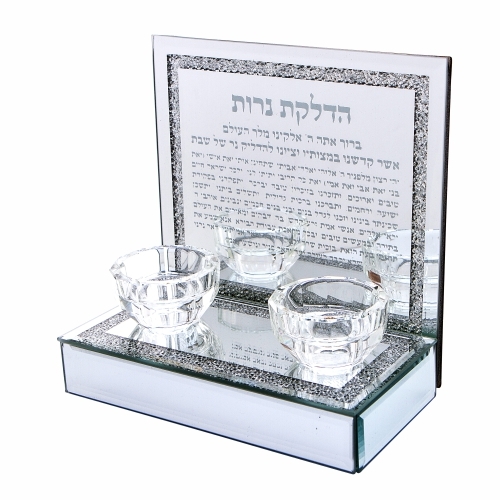 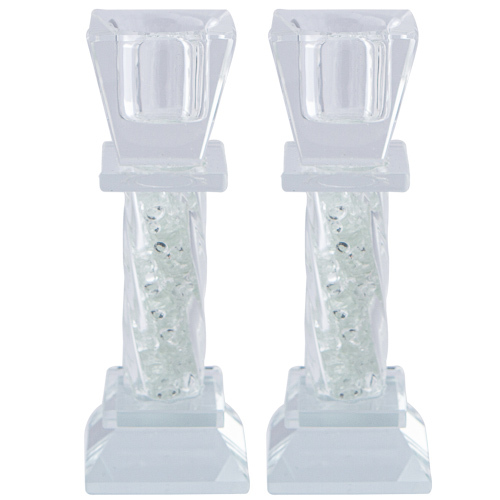 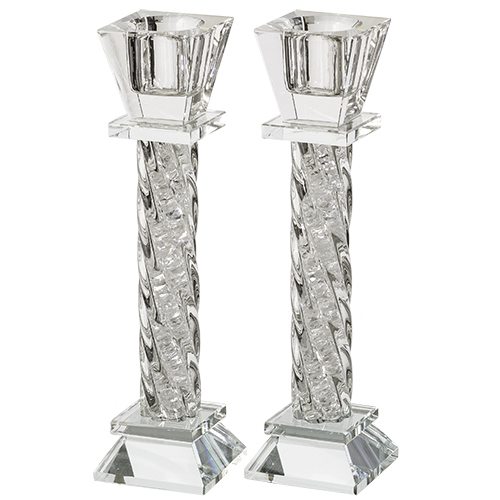 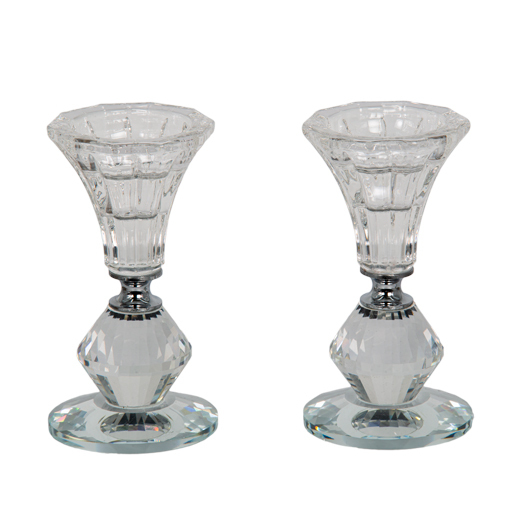 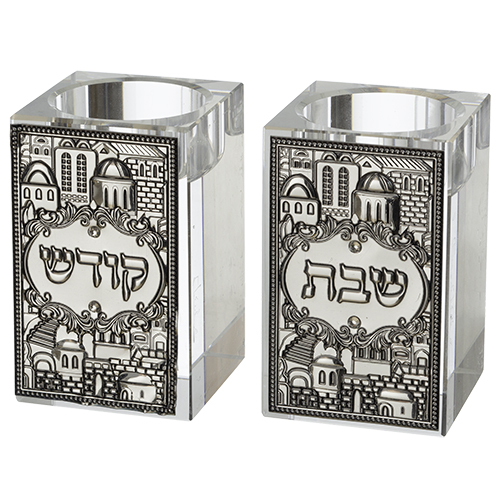 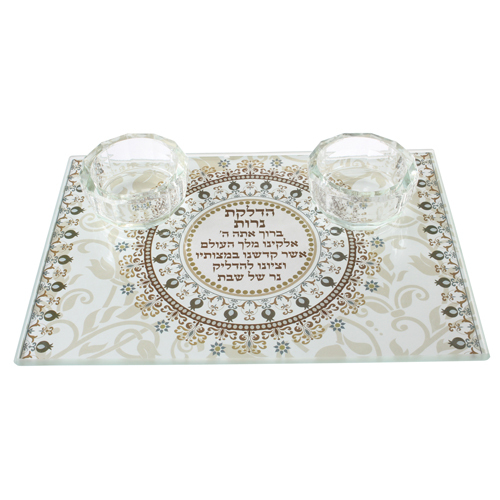 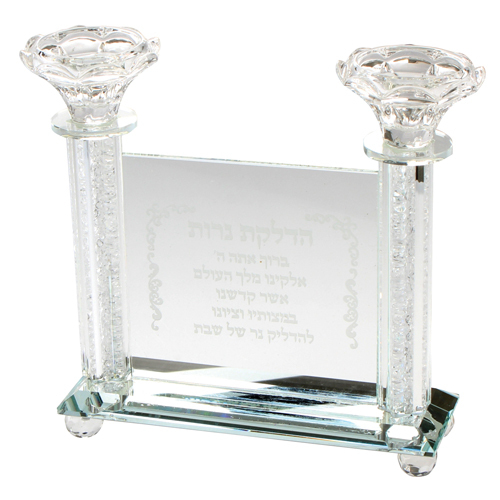 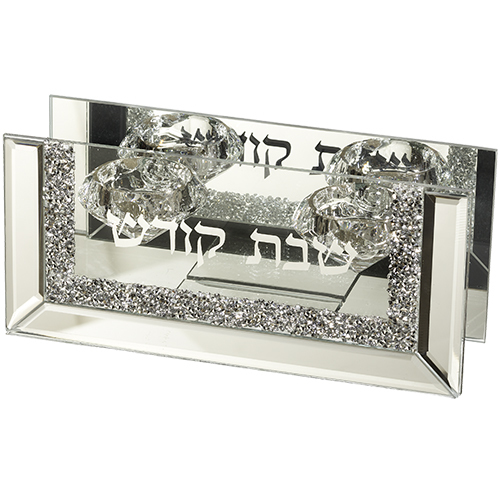 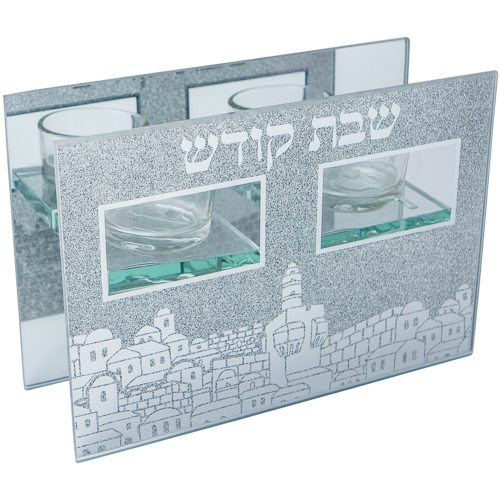 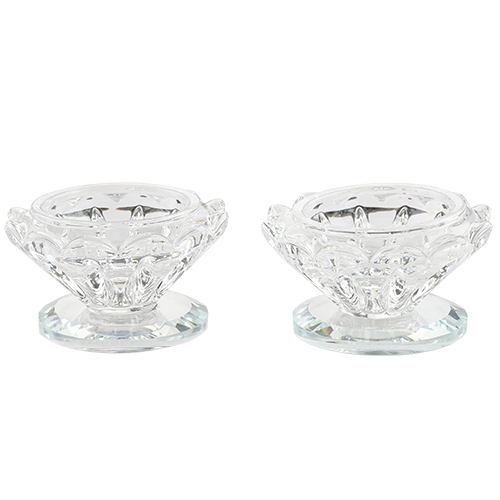 UK86870 - Nickel Travel Size Candlesticks in a Box with Cover 4x9 cm - "Jerusalem"
UK41856 - Nickel Travel Size Candlesticks in a Box with cover inlaid with Light Blue Stones 4X9 cm- "filigree"
UK50865 - Square Crystal Candlesticks 8cm with Metal Plaque-"7 Species"
UK57882 - Square Crystal Candlesticks 8cm with Metal Plaque-"Jerusalem"
UK57883 - Square Crystal Candlesticks 8cm with Metal Plaque-"Pomegranate"
UK52895 - Square Crystal Candlesticks 8cm with Metal Plaque- "7 Species"
UK52896 - Square Crystal Candlesticks 8cm with Metal Plaque- "Jerusalem"